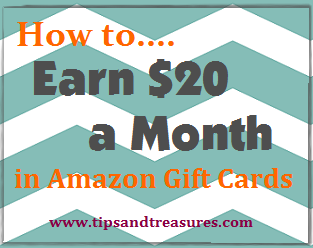 Tips & Treasures: Can you make money online with YouData? Can you make money online with YouData? So I've been a member of YouData for about 2 months now. 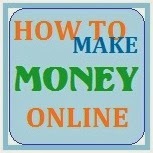 And I want to share this program with you so you can see if you can really earn money online with them. In the 2 months that I've been a member I've been paid $10.01. Not bad. It's nothing you're going to get rich from, but it is FREE money, and who passes that up? Not me. If you're wondering what YouData is, here's a quick summary. YouData pays you to view ads. You know how when you visit a site, there may be ads on the sidebars? 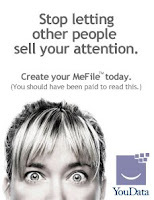 Well this is similar to that, except you're getting paid for your time to view the ad. You can view ads directly on their site, you can download the ad viewer, or you can view ads on anyone's site that has the viewer located there. You get paid for each ad viewed and clicked on. Then they send your payments to you weekly via PayPal. Like I said before, so far I've earned $10.01 with YouData. The first week, there were tons of ads to view and I made $4.64. Since then, there have only been a few ads available each week and my payments are around $0.29 - $0.95. Obviously I wish there were more ads to view and that I could earn more each week like I did during the first week. But, hey its free money to me and it took very little time to do. So no big deal. Also the more people that sign up for YouData, the more advertisers they will have sign up. This will result in more ads being available for us to view and make money from! So I'm hoping this program really takes off. But in the meantime, I'm enjoying getting a little bit of change here and there. You can sign up for your free YouData account here and start earning cash. Sorry for intruding here, it is ok to delete this message. I just want to gather some insight. I want to invite you to my seo contest hosted on my blog http://heartratewatchcompany.com/blog. I am new to blogging and hoping you could share any comments and suggestions. Negative or postive comments are very much welcome. I have facebook link on my blog, please have time to view my profile. As a pay of respect, I already submitted your link to my onlywire.com account.